Ok Kanmani is the upcoming Tamil-Malayalam bilingual romantic entertainer directed by Mani Ratnam featuring Dulquer Salman and Nithya Menon in the lead roles. Shooting of Ok Kanmani wrapped few days ago and makers have released the first look posters on the big Valentines Day [Feb 14]. 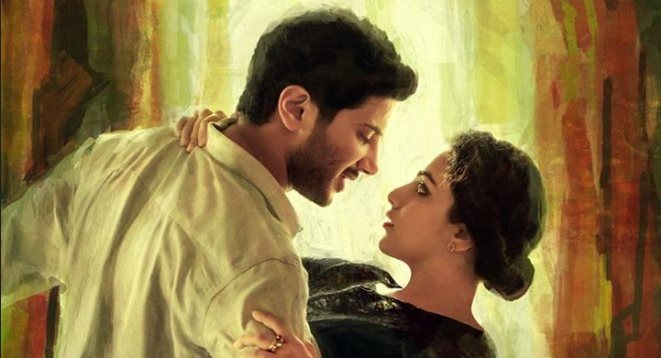 The poster of "OK Kanmani" is more of a canvas painting were Dulquer is seen holding Nithya in his arms, the poster of "100 Days of Love" shows the couple taking an early morning stroll in a beautiful veradah decorated with flowers. "OK Kanmani" is reportedly a low-budget movie and is said to be a romantic entertainer along the lines of Ratnam's hit film "Alaipayuthey" that featured Madhavan and Shalini. Prakash Raj has played a key role in this Mani Ratnam directorial film. Produced by Madras Talkies, PC Sreeram has cranked the camera for Dulquer's OK Kanmani. 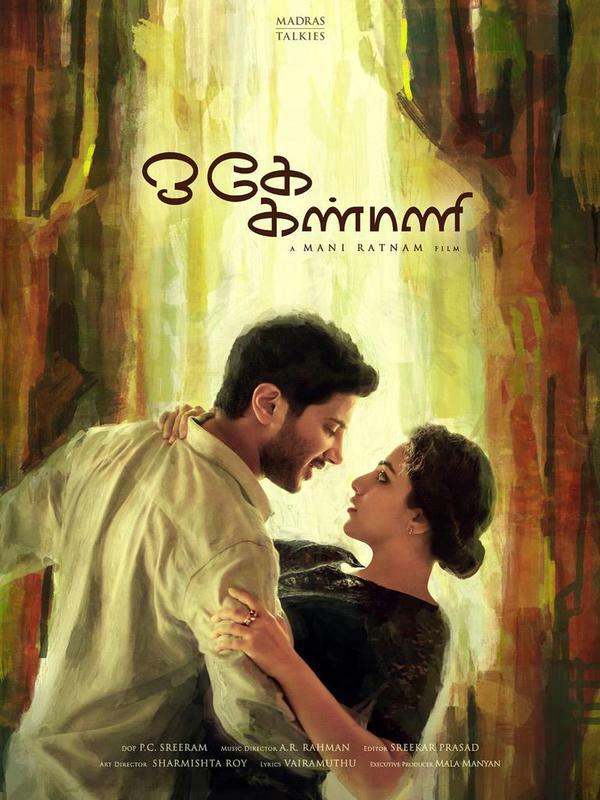 Music: AR Rahman, Art: Sharmishta Roy, Editor: A Sreekar Prasad, Lyrics: Vairamuthu among OK Kanmani crew. The movie will also see cinematographer PC Sreeram working with Mani Ratnam after a long gap; their last film was "Alaipayuthey" in 2000.